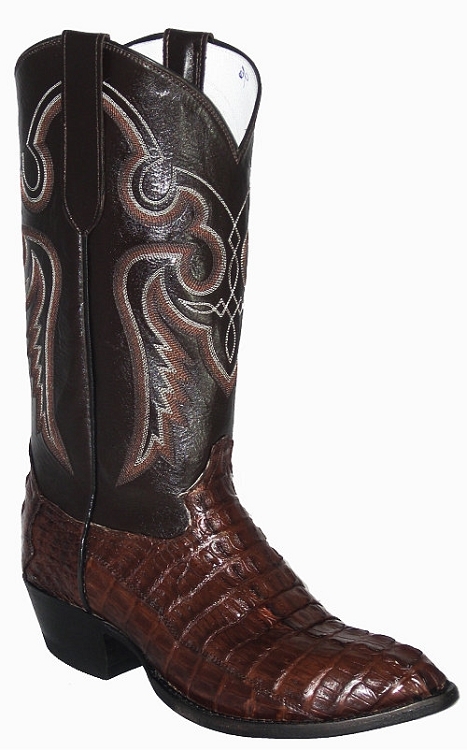 This is a beautiful Caiman Crocodile Tail Cut handcrafted western exotic skin boot. This boot comes in Dark Brown and is guaranteed to get attention where ever you wear it. Height 13", J-Pointed, or W-Semi-Round design. 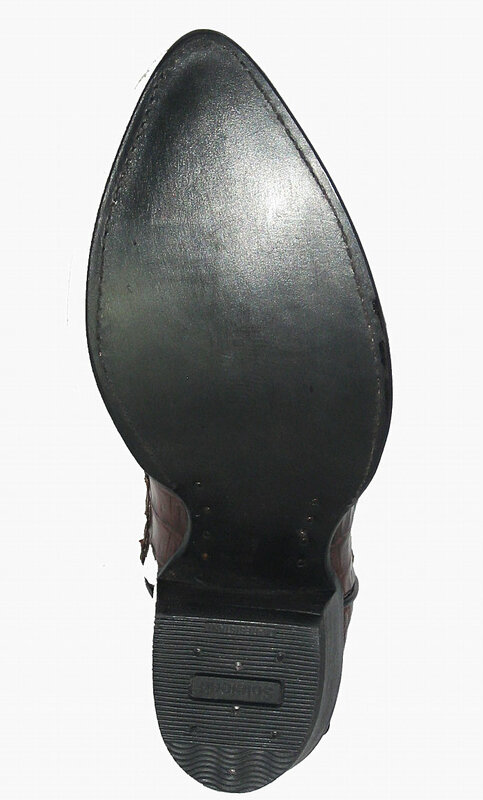 A 1 ¾" walking heel. The vamp of the boot is 100% Crocodile and the top is made from top grain leather with elegant stitching, and leather soles and lining. Each boot requires over 200 steps to complete. This boot is a custom boot brought to you at our low Internet prices. Exotic Skins: Crocodile skins are from farm raised properties in Columbia and South America. They average 5' to 6' in length. 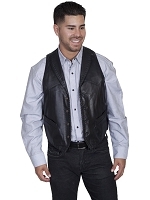 This allows for a well defined head, back and tail cut look. Belly patterns are not as smooth as with the Alligator, but still make a beautiful skin for boots. 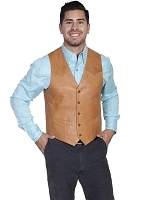 The Crocodile skin is a little stiffer than the Alligator, but the wear and durability is outstanding.